“Because the BioScience Center project was of great personal and professional importance to them, it seemed appropriate to give Stephen and Susan a significant going-away present in tribute to his masterful presidency,” said Darlene Shiley, who has been a long-time supporter of SDSU. Shiley also announced she would donate an additional $1 million to support university scholarships in honor of the Webers. 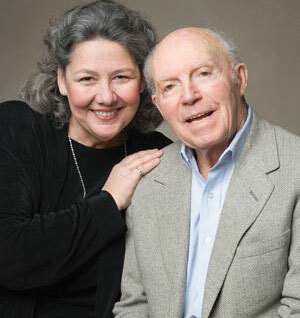 The new gift adds an additional $3.75 million to Shiley’s initial pledge of $1.25 million in 2008, which created the Donald P. Shiley Center for Cardiovascular Research on the third floor of the BioScience Center, named after her late husband Donald Shiley, the inventor of the Bjork-Shiley heart valve. 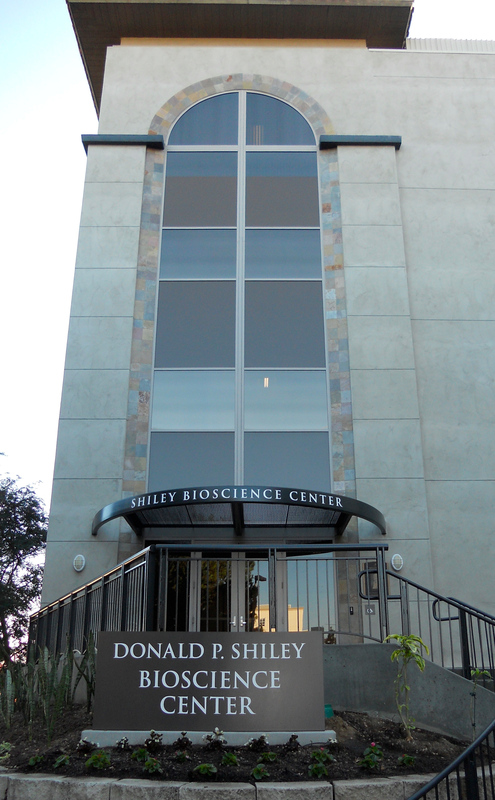 As a result of the new donation, the entire BioScience Center will be renamed in Donald Shiley’s honor to be called the Donald P. Shiley BioScience Center (subject to approval by the CSU Board of Trustees). “My late husband, Donald, was an incomparable man of integrity, intelligence and warmth. His extraordinary contributions to the biomedical world will be well represented by this facility,” Shiley said. Research conducted at the BioScience Center focuses on the links between infection, inflammation and heart disease, the only research facility in the nation working on this important nexus. “Darlene’s visionary support will allow the BioScience Center to enhance its research which could transform the way we treat and prevent heart disease,” said Stanley Maloy, dean of the SDSU College of Sciences. Opened in 2006, the Donald P. Shiley BioScience Center is an innovative research facility with more than 33,000 square feet of usable space. The center features three floors of research laboratories, offices and the 100-seat Alan and Debbie Gold Auditorium for the Life Sciences. In all, more than a dozen researchers are affiliated with the BioScience Center. Shiley, a long-time supporter of San Diego State University, has also donated to the musical theatre master’s degree program and to KPBS.